Things have settled down now and I'll be speaking on Friday the 9th at 6:15 PM on Lucene. 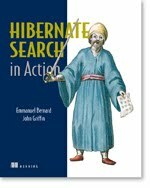 Right after that I'm holding a BOF on how Hibernate Search solves Lucene's scalability problems along with several other shortcomings. Hope to see you there.